Media Expert Worries About Game Burning "Distraction"
Psychologist Christopher J. Ferguson is concerned that the plan to burn violent videogames in Southington, Connecticut could actually do more harm than good. In response to the December mass murder at the Sandy Hook Elementary School in Newtown, Connecticut, citizens of Southington put together a plan to collect and destroy violent videogames. While claiming that the game burning isn't intended to suggest that videogames were the cause of the shooting, the group also released a statement saying there is "ample evidence" that violent videogames and other media have contributed to "increasing aggressiveness, fear [and] anxiety" among children and is desensitizing them to violence. 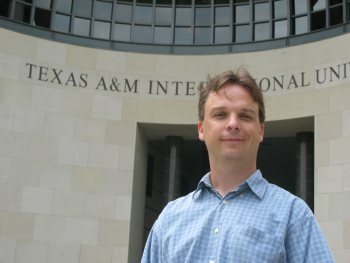 But Ferguson, the chair of Texas A&M International University's Department of Psychology and Communication, warned that while people are trying to do what they think is best, "there is real risk in focusing people's attention on the wrong thing, as well as contributing to historical patterns of 'moral panic' that tend to surround new media (often despite evidence media is not harmful, even if it may be offensive)." "I'm very appreciative of the sincerity of your group, but at the same time I've been concerned about some of your public statements linking videogames to bullying and youth aggression which do not accurately reflect the science," Ferguson wrote in an email to the Southington community. "I've done a number of peer-reviewed articles myself on the topic, and have found no evidence linking videogame violence to bullying or any other forms of youth aggression or violence. Past research has been mixed, at best, and often weakened by substantial methodological flaws." He also worried that parents who broach the subject now could come off as insincere or patronizing, especially since their kids are almost certainly aware of the shooting and the uproar surrounding it. "Make it clear that you understand that videogames don't contribute to mass shootings, make it clear that you're not indulging in this moral panic," he said. Ferguson is relatively well-known among gamers for his skepticism of the link between violent videogames and real-life violence. In early 2009 he published a report entitled The School Shooting/Violent Videogame Link: Causal Relationship or Moral Panic? and in December 2012 wrote a brief article in Time magazine in which he stated, "There is no good evidence that videogames or other media contributes, even in a small way, to mass homicides or any other violence among youth." And while the Southington game burning may or may not be a "success," Ferguson is concerned that it could draw attention away from efforts to actually address the problem at hand. "I do worry this is going to represent a step backwards in our understanding of youth violence, rather than a step forward," he said. "It's going to do kind of what Columbine did. It kind of distracted us from real issues and not do anything helpful."